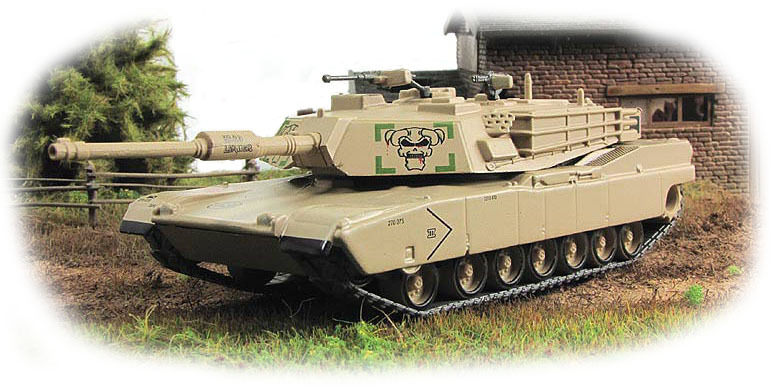 The M1 Abrams is a third-generation main battle tank produced in the United States. It is named after General Creighton Abrams, former Army Chief of Staff and Commander of US military forces in Vietnam from 1968 to 1972. 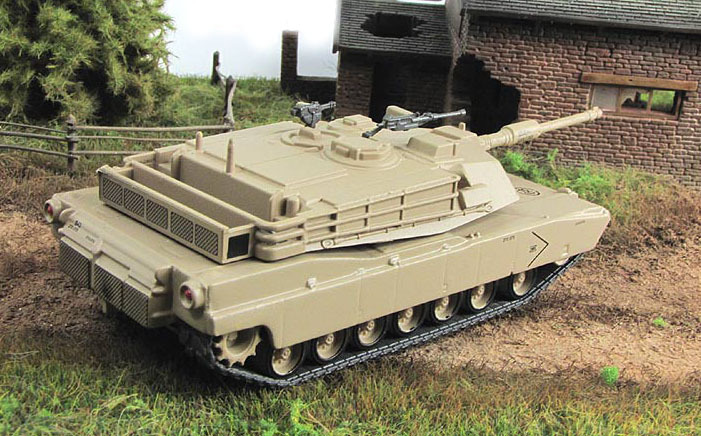 Highly mobile, designed for modern armored ground warfare, the M1 is well armed and heavily armored. Notable features include the use of a powerful gas turbine engine (multifuel capable, usually fueled with JP8 jet fuel), the adoption of sophisticated composite armor, and separate ammunition storage in a blow-out compartment for crew safety. Weighing nearly 68 short tons (almost 62 metric tons), it is one of the heaviest main battle tanks in service. 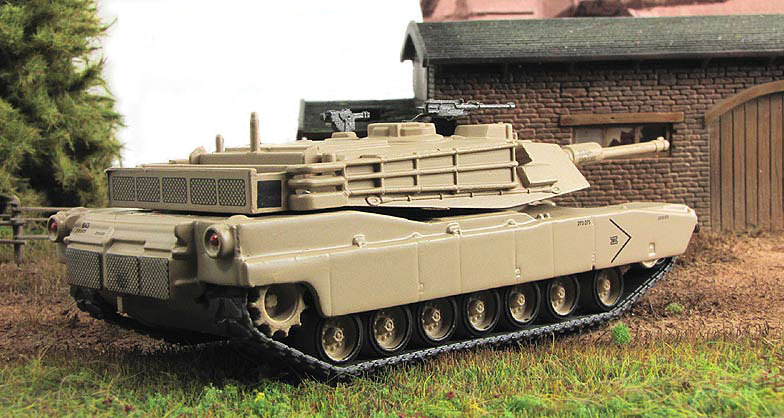 The M1 Abrams entered U.S. service in 1980, replacing the M60 tank. 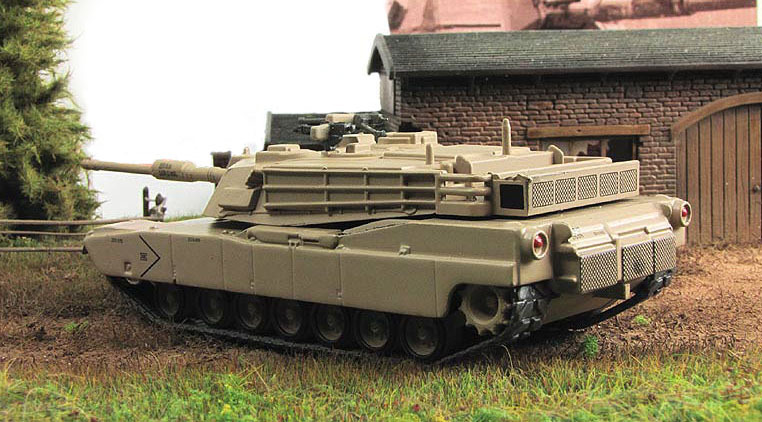 It served for over a decade alongside the improved M60A3, which had entered service in 1978. The M1 remains the principal main battle tank of the United States Army and Marine Corps, and the armies of Egypt, Kuwait, Saudi Arabia, Australia, and Iraq. 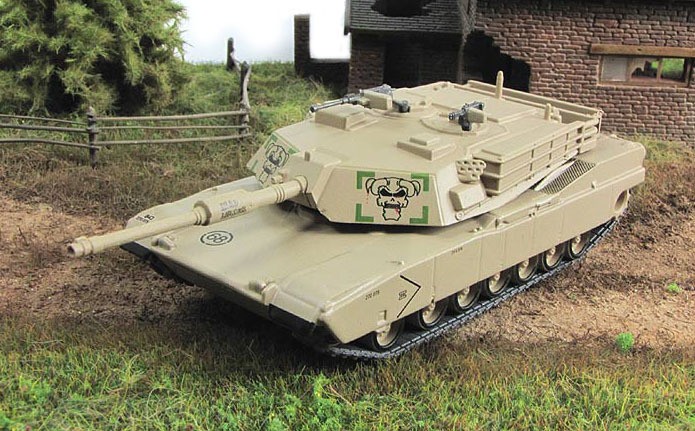 Three main versions of the M1 Abrams have been deployed, the M1, M1A1, and M1A2, incorporating improved armament, protection and electronics. These improvements, as well as periodic upgrades to older tanks, have allowed this long-serving vehicle to remain in front-line service.